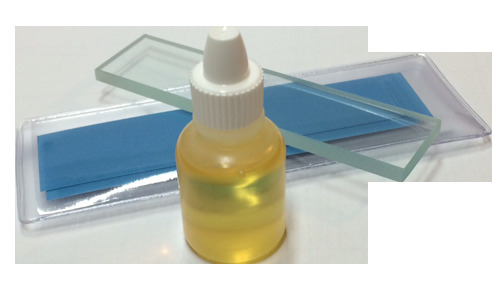 This small dropper bottle of honing oil is perfect for our diamond lapping films. One bottle will work for all the different films. We’ve found that a lightweight oil is hands down, the best lubricant to use on these diamond films. Our small dropper bottle of honing oil that is perfect for use with them. Note: This item is the small dropper bottle filled with our honing oil. The tempered glass blank and diamond lapping films are not included.